Stunning pool home with outstanding pond view. Why buy new construction when you can buy a renovated home like this? The home has an expansive floor plan, calm fresh paint throughout and ceramic floors in main living areas. 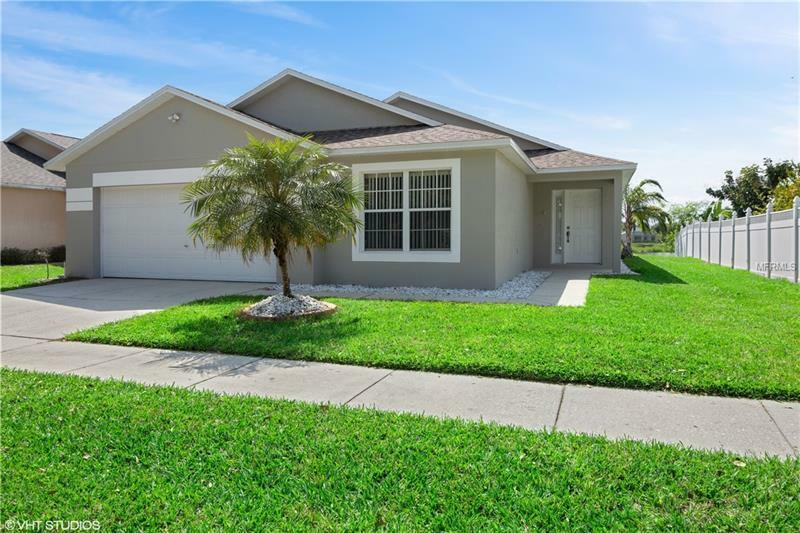 New roof, fresh interior & exterior paint, new pool heater, completely refinished pool area with attractive multi function LED Pool lights, new tile and high end stamped concrete pool deck overlooking the wonderful landscaping & pond view. Lots of living space to spread out and entertain in this home, separate family room plus dining and formal living areas. The kitchen has contemporary refinished cabinetry and counters in and new stainless appliances, with a breakfast bar and nook. The family room with vaulted ceiling looks out onto the pool and pond view. The master bedroom has dual aspect windows overlooking the pond & pool, a wonderful updated master bathroom with oversize shower and access to the pool area. There are three further bedrooms plus two more bathrooms giving great flexibility. Come & see this home today, it won't be around long!